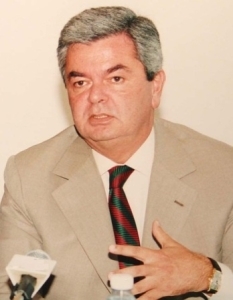 Dean of the hospitality sector and owner of both the Printania Palace Hotel in BRUMMANA and Monroe Hotel in Beirut Downtown, as well as management provider for the Markazia Monroe Suite Hotel; President of both the Lebanese Hotel Association and the Federation for Tourism Industries in Lebanon, he is indeed, a strong advocate of the revival of the tourism industry and continuously lobbies on its behalf in government and private sector environments. Achkar Family is synonymous with BRUMMANA and had a strong influence in the development of the city’s infrastructure. His grand-father Chahine Achkar’s initiative to establish the first Electrical plant contributed to the development of BRUMMANA : the first Lebanese town to be lit in 1931. His grand-father Chahine Achkar, his father George Achkar and himself, consecutively mayors of BRUMMANA contributed to the growth of all the leisure, restaurant and cafes in BRUMMANA , which became the major summer destination in the country, with a solid reputation reaching to the Gulf countries and Saudi Arabia.